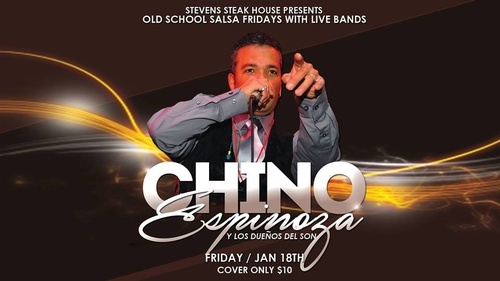 Old School Salsa Fridays with live bands are back at Stevens Steak and Seafood House Restaurant through Friday, February 22nd with Chino Espinoza y Los Dueños Del Son! Perfect night for dinner and dancing or any kind of celebration! Free and Valet parking available. Open dancing starts at 9:30 p.m. to 1:40 a.m.